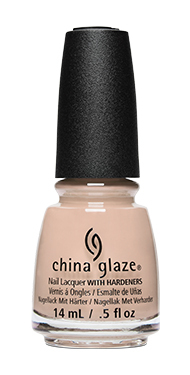 China Glaze’s Summer 2018 collection, Shades of Paradise, consists of twelve new shades of nail lacquer. This summer, get some color. No tanning necessary. Just dip your tips in these sea-blue shimmers and bask in the pinky-purple warmth of these tropical sunset crèmes. Here they are…is it just me, or are China Glaze’s new descriptions sounding rather a lot like those of a competing brand? You’ll need nonstop fanning from the cabana boy thanks to this white-hot milky matte shade. All aboard the love boat! You’ve found your perfect match with this serene sky blue crème. You’re scaling up to a beachside pad complete with an ocean view that matches this shimmery blue hue. No need to pretend, babe. You know you’re seaside slayin’ in this purple crème and so do we! Let’s boujee on a decadent weekend of ocean dips and hammock lounging in this vibrant violet crème. 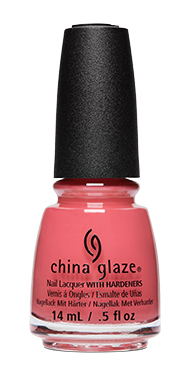 The ocean breeze and this neon pink shimmer will help you sea the brighter side of life. The torches and island festivities are lit, and you’re feeling cheeky in the tiki in this gorgeous red crème. It’s time to kick off your shoes and strut your stuff along the shore in this pretty pink crème. Spill the tropical tea on your escapades in this shimmery coral that made you the talk of the island. Turn up the heat on off-duty adventures with this fiery orange that burns long after the sun has set. The Micro Mini set consists of six shades, which are (I think—I haven’t found the official info): Cabana Fever, Water-falling in Love, Mer Made for Blue Waters, Boujee Board, Don’t Be Sea Salty, and All Sun & Games. I’m keen to see Ma-Holo at Me, All Sun & Games, and Tropic of Conversation in person!